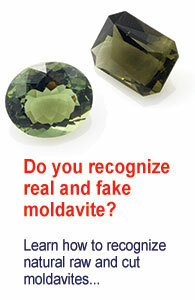 Jennifer from Zion, Illinois speaking about moldavites and other powerfull stones. 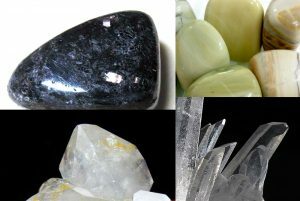 Moldavite, Nuummite, Scepter Quartz, Herkimer and my Butter stones have been the most life changing stones in my collection. My life has changed so much in the last 7 months. It has been incredible. I know the Moldavite & Scepter Quartz have been the two which has done the most to get me on the path I was meant to be on and it has allowed me to also transform & improve several other people lives. I go through a very specific procedure with every new stone that arrives (all types). I use some of my Rudraksha seed beads (which are strung on red real silk cord/thread to test the stones if they are real stones/crystals from the earth or glass or man-made product, if the stone/crystal has been heat treated, dyed, repaired or altered in any way, I ask if aura stones voluntarily choose to go thru the difficult aura treatment or if keeper forced the stone to go thru the aura treatment, test the energy is positive or negative, if there are any psychic impregnations, any programs in the stone, if yes are programs positive or negative – I found 1 of my personal stones had a negative program.